Find the best BMW X3 leasing deals at CarLeasing.co.uk. One in every three cars that leaves a BMW showroom these days is an X. So because these crossovers sell in such big numbers, it?s worth the engineers and designers throwing their best efforts into them and the new X3 is a thorough enough job to take on the class best. Find your perfect BMW X3 by browsing our deals below. Choose from a range of optional extras and even insurance or maintenance if you want complete peace of mind. Our latest BMW X3 leasing deals. 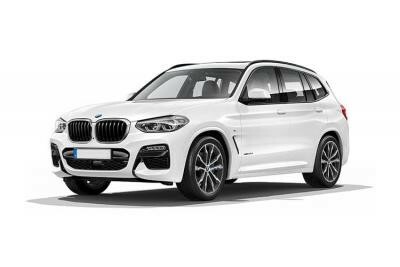 Click the links below to view our latest BMW X3 leasing options. 3 reasons to lease your next BMW X3 from us. We deliver your brand new BMW X3 vehicle for no additional cost.